Authorities found 90 high-end vehicles which had been carjacked or stolen in New York and New Jersey. About 24 cars were located in seaports along the NY-NJ coastline. The cars were estimated to be worth four million dollars. No information was revealed about who the cars were delivered to Africa. However, there was a big news story back in 2015 when a Texas plumber was shocked to find that his old truck somehow ended up 7,000 miles away and in the hands of ISIL fighters. The terror group used the plumber’s truck in a propaganda video. 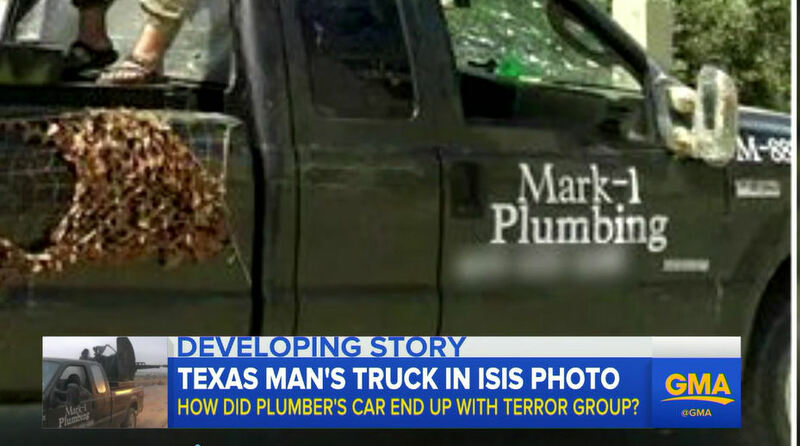 The plumber’s company name and telephone number were prominently displayed on the truck as ISIS fighters drove around shooting from it. The plumber sued the used car dealership where he had sold his old truck before it fell into ISIL’s hands. This raises new concerns about border security and whether ISIL is involved with criminal rings stealing directly from Americans and shipping their property overseas.